Dr. Andrea Ramsey enjoys an international presence as a composer, conductor, scholar, and music educator. Her teaching experiences range from work with adolescent and children’s voices to high school and collegiate voices. She enjoys regular opportunities to conduct all-state and divisional level honor choirs, festival events at Carnegie Hall, and serves as a principal conductor for the Pacific International Young Women’s Choral Festival in Eugene, Oregon. Before leaping into full time composing and guest conducting, Andrea held positions in music education and conducting at The Ohio State University and the University of Colorado, respectively. An ASCAPlus award-winning composer, Andrea believes strongly in the creation of new works. Her compositions are available with traditional publishers and also through MusicSpoke, a digital sheetmusic marketplace. She enjoys residency collaborations with ensembles and festival choirs, some of which have included: the Allegro Choirs of Kansas City, Ithaca College, and the Crescent City Choral Festival in New Orleans. As a scholar, she has presented for state, divisional, and national conventions of the American Choral Directors Association, the 6th Annual Symposium on Sociology in Music Education, as well as The Phenomenon Singing Symposium in St. Johns, Newfoundland, Canada. 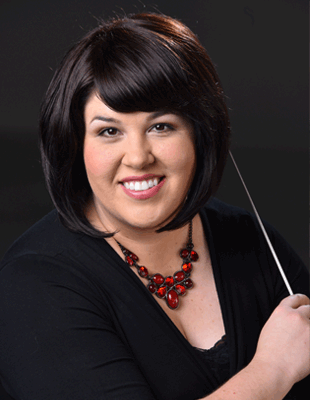 She has co-authored articles published in the Choral Journal, as well as the Journal of Research in Music Education. A native of Arkansas, she has experienced in her own life the power of music to provide a sense of community, better understanding of our humanity, and rich opportunities for self-discovery.